The Liberty 253 Effluent Pump comes with a 3-year manufacturer's warranty. These products can be used with the Liberty 253 Effluent Pump. 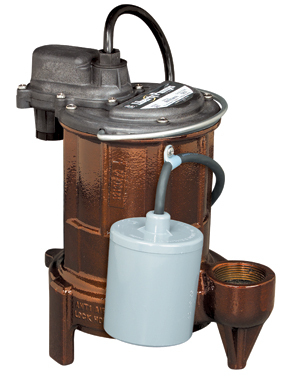 The Liberty 253 Effluent Pump features a one-piece cast iron body, quick-disconnect power cord and three different switch options. The Liberty 253 also features a durable, epoxy powder coat finish and vortex style impeller. The 253 Effluent Pump has 1/3 hp motor, 1-1/2" discharge and 1/2" solids handling capability. The Liberty's 253 Effluent Pump is the perfect choice for low-head effluent pumping.